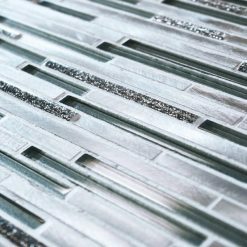 The rise of metal mosaic tiles in recent years has been a steady one, and here at Mosaic Village we like to think we have been at the forefront. 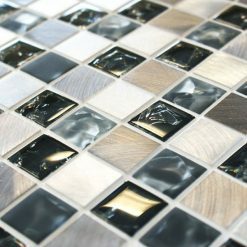 As well as being bang on trend, Metal mosaic tiles offer a clean and neat finish to both bathrooms and kitchens. 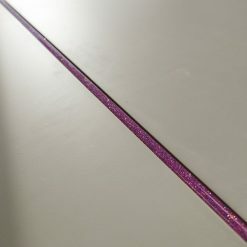 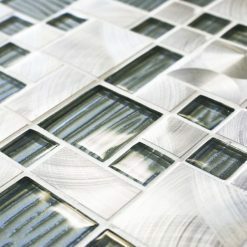 They can act as a seamless transition when sitting along side your kitchen appliances or metal tile trims. 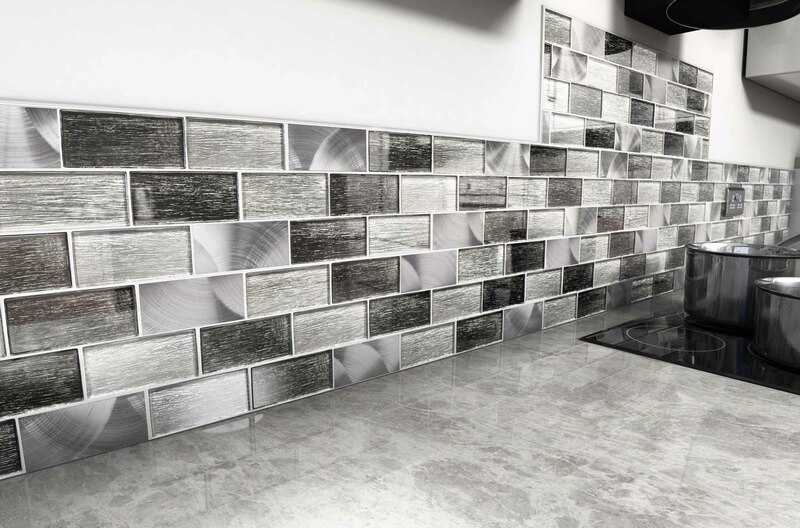 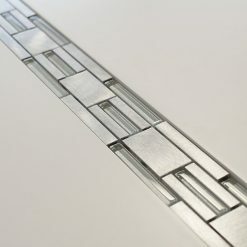 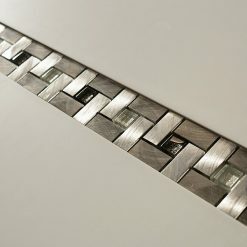 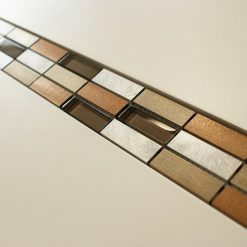 We have a nice mix of options of metal mosaic tiles available, so why not take a look. 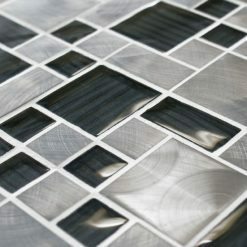 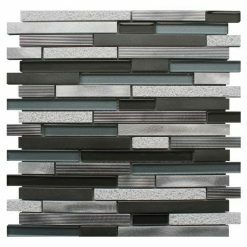 The metal mosaic tiles featured is Portland - Grey. 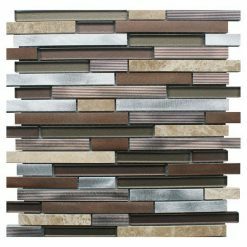 Installing metal mosaic tiles in to your home can be a bold choice. 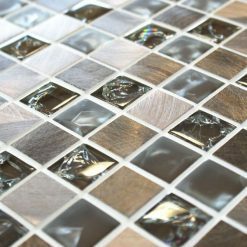 They are a little more adventurous and if you are tiling yourself could appear a little more tricky to fix. 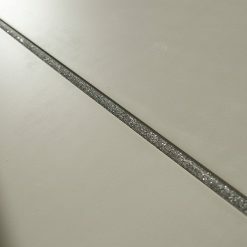 This is not the case and you will be the talk of the street once they are in. 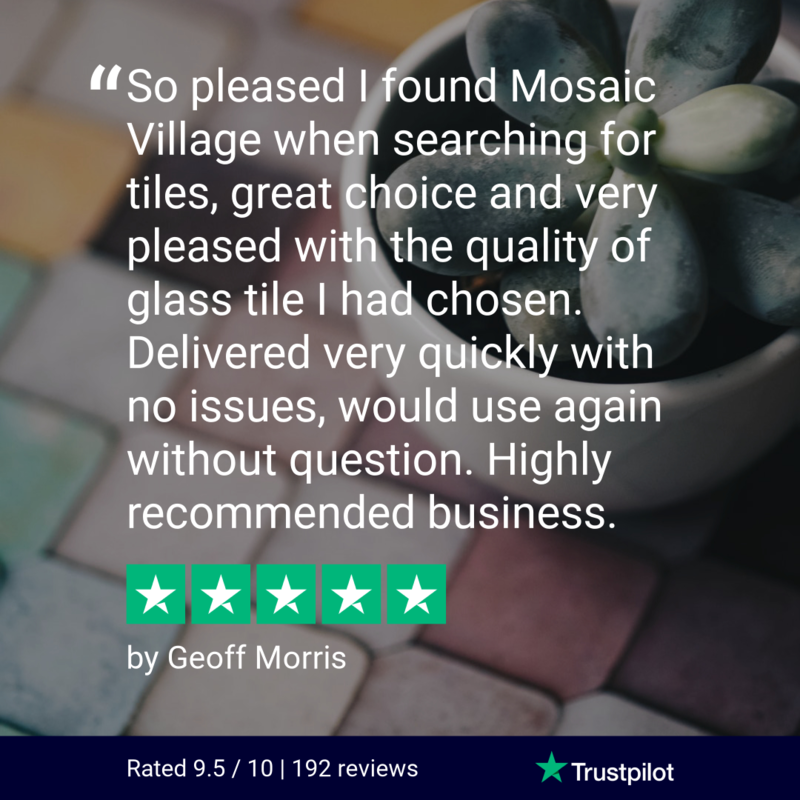 Here at Mosaic Village we have built a range of metal mosaic tiles that can be appreciated in both your large family kitchen, or small contemporary studio one. 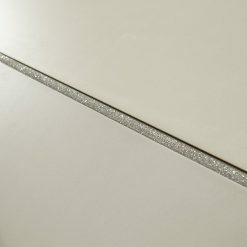 Why not create a feature drop in a wet room, or run a sleek border around your bright white en-suite. 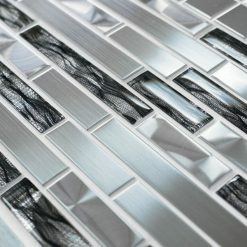 We have a metal mosaic tile for every scenario. 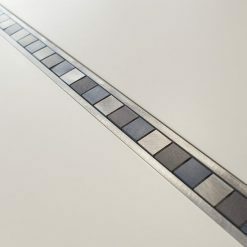 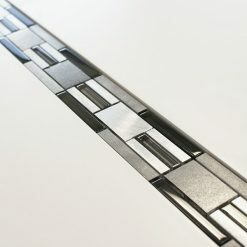 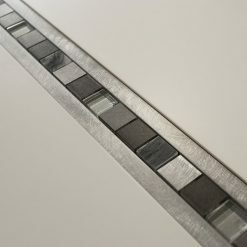 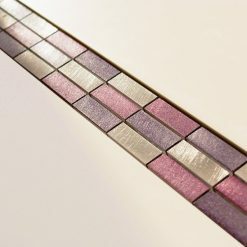 Our metal mosaic tiles come in a variety of finishes, shiny, brushed, coloured and mixed with various other materials. 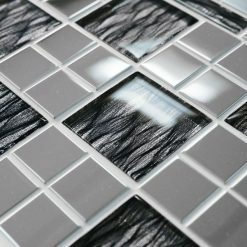 Why not go for a mosaic that incorporates both metal and glass tiles, giving a tremendous depth of field and creates impact. 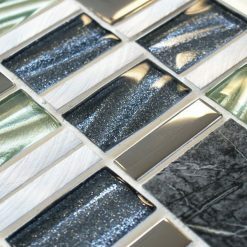 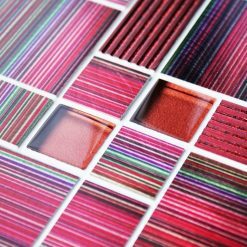 Be sure to use our handy filters to find the right colour palette or material of metal mosaic tiles you are looking for. 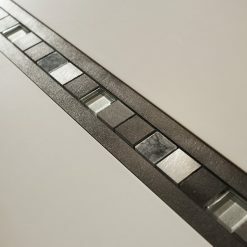 It really could not be easier. 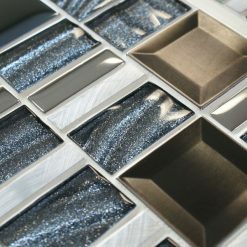 Please call us for advice on making the right choice for your interiors.